Celebrity father of two Johnny Depp is so moved by parenthood that he now takes time to care about all children. At his induction into the Hollywood Walk of Fame he wore a bracelet in memory of Dustin, a child from the Children's Hospice Coalition, and in 2006, he received the Courage to Care award in recognition of his contributions to the Children's Hospital Los Angeles. 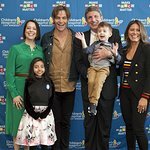 “Johnny Depp embodies the very spirit of the `Courage to Care’ Award because he puts smiles on the faces of thousands of children through his great work on film, and his longtime private advocacy of children and children’s charities is nothing short of inspirational,” says Ms. Fernandez-Farrand, a member of the Childrens Hospital Los Angeles Board of Trustees. 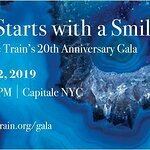 His fans certainly find him inspirational, and on November 10th, his philanthropic fan club, Johnny’s Angels, are holding a fundraising party for the Children's Hospice Coalition in New York. For more information, go to Johnny’s Angels on MySpace.